There are many steps that need to be taken to be able to achieve the perfect garden turf. As well as mowing and watering your turf it is essential to take necessary measures to rid your turf of weeds that are trying to grow through your garden turf. There isn’t a general one step process to completely killing off weeds in your garden turf due to the wide variety of weeds that exist. This can also be dependent on the type of turf you have in your garden. Generally speaking lawn weeds fall under three different categories; unwanted grasses, grass like plants commonly known as sedges and broad leaf plants. 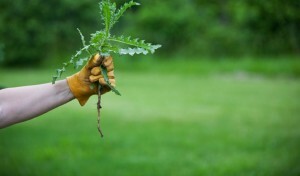 The majority of weeds are either annuals or perennials. The difference between them is that, annual weeds complete there life cycle in one season and reproduce from seeds whereas perennial weeds can survive over several years and spread underneath your turf, they can also reproduce from seed which makes them a lot harder to control. To prevent weeds from growing through your garden turf many experts and gardening enthusiasts will try to crowd out weeds by growing their lawn turf thicker. Here we have noted the best steps to put this into practice. Firstly you will need to fertilise your lawn. It is important to use just enough fertiliser as too little can result in the fertiliser not working whereas too much can often benefit certain types of weeds such as annual Bluegrass. 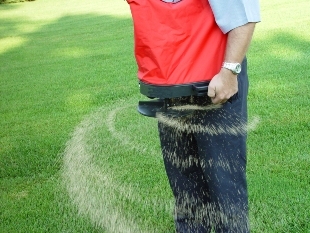 It is also essential to fertilise at just the right time of the season depending on your grass type. The next step is to water grass infrequently and deeply. 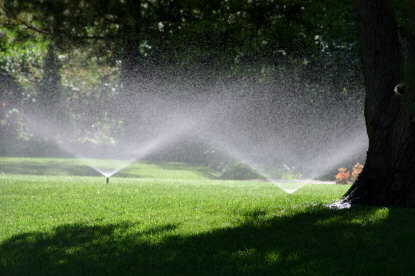 Watering your turf regularly can actually help many weeds grow whereas watering infrequently and often allows water to soak deep into the roots of your turf. Mowing your garden turf too short can actually have a detrimental effect on the structure of your grass. 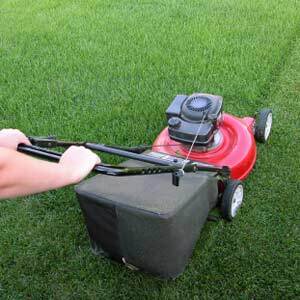 Having your lawn turf cut higher at about 2-4 inches gives your turf the ability to produce nutrients. There are many occasions where weeds can be a sign of problems with your soil. It is ideal to know your soil pH levels so that you can favour it so the soil enhances your lawn turf rather than benefiting weeds. Keep a close eye on our blog as we will update it with a variety of tips to help you achieve the perfect garden turf throughout the year.